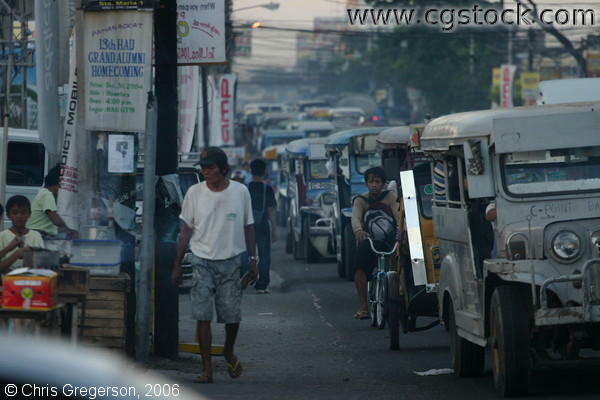 Shown here are jeepneys, bicycles, tricycles, and vendors on a typical street in Balibago, Angeles City, Pampanga, Philippines. Jeepneys are the common means of mass transportation in the Philippines (2 km ride will cost $ 0.2). There are many signages seen in here; one says "13th HAU Gand Alumni Homecoming" in blue print. One could also see in this picture the smog that is being formed from the traffic.